The film is based on Sergei Narovchatov’s poem. 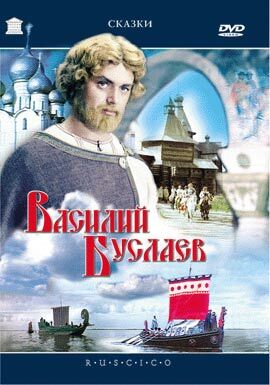 Vassily Buslayev is an epic Russian hero who rose to defend the freedom and independence of his people. The strength and power of this son of a Novgorod governor, his friendship with simple folk enraged and scared the rich, fat merchants of the city. When they learned that the young man was setting out on a march to save his native land from the enemy, they couldn’t be more happy: how could he defeat a foe so mighty! But Vassily overcomes all intrigues and brings his expedition to a victorious end. He returns home a hero, and not alone but with a sweetheart. When a threat of enemy invasion again looms over Novgorod, people come and beg Vassily to defend their native land.